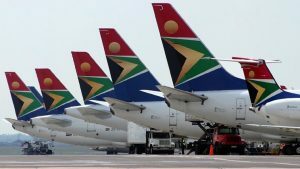 Struggling National Carrier, South African Airways (SAA) is looking to grow its traffic around the African continent in a bid to turn its fortunes around. SAA has signed a memorandum of understanding with fast growing regional carrier, Africa World Airlines (AWA) that will see trade relations between South Africa and Ghana further strengthened. The agreement, signed in Accra, Ghana, will see improvements, not only in the existing SA/Ghana route, but will ensure that the countries’ ailing national carrier increases its footprint in West Africa. Ghana and South Africa already enjoy good relations with the West African country representing a major export market for South African goods. While total trade volumes are still relatively low, it is hoped that these figures will grow; and the latest agreement seeks to achieve just that. Kofi Adda, Ghana Aviation Minister, says that the deal is a reflection of government bringing about change in the aviation sector. The partnership will ultimately make for seamless movement between Africa and the world; it will allow for both airlines to share resources and routes across the African continent and beyond. SAA CEO Vuyani Jarana says that SAA has eight flights a week to Ghana. The new partnership is not limited to commercial interests; it will also see the airlines tapping into each other’s expertise in engineering, human resources and other skills, as they forge ahead with the mission of taking Africa to the world. The post SAA signs memorandum of understanding with Africa World Airlines appeared first on SABC News – Breaking news, special reports, world, business, sport coverage of all South African current events. Africa's news leader..